Coming to study at New York University has been a great opportunity. The campus is located right in the middle of New York City, such that one could never ask for a more vibrant campus life. The advantage of having a city life campus is that there are always things to do around the campus and life is never boring. NYU provides students with discounts to sports games, Broadway shows, concerts and many cultural events that are all easily accessible to the campus. Also, there are always good places to go eat, shop, and hang out. In addition, being in a city life campus has challenged me greatly in terms of living my life and growing up. Living in a city that many people consider to be dangerous, overly crowded and always busy, couldn’t be further from my experience at NYU. The NYU community makes it a safe place to live and learn. Living in the city has really made me become a tougher person and more independent as I get to experience many life challenges. However a downfall of living in a city life campus is that the schools and buildings are all scattered around the whole city. All of New York City is considered my campus. For me, having to travel to different parts of the city to study is not an issue, while others find this aspect of NYU challenging. Fortunately, most of the schools and buildings are located in clusters around the Washington Square Park. 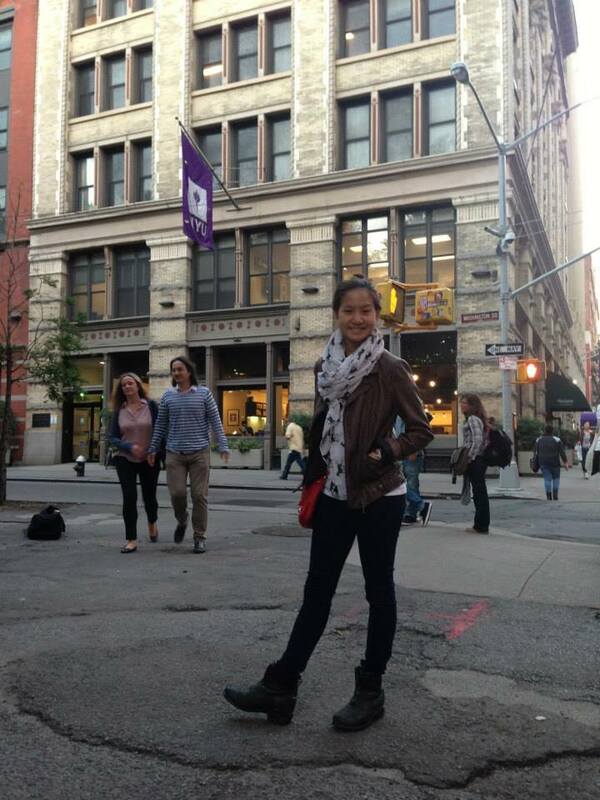 Overall NYU provides an exciting campus life mixed with academics and cultural and social opportunities. As a university, NYU offers all the degrees you could possibly think of and also allows students to design their own degree. The courses that are taught here are quite rigorous however, they have opened up my mind about the world of education. One positive for me at NYU is that the classes are quite small which allows them to be more discussion based. This intimate setting allows students to think and debate more openly. To any prospective students that are considering applying here, I would say that NYU is definitely a school that one should consider. NYU is located in one of the world’s greatest cities where all sorts of opportunities and activities are at one’s fingertips. The education here at NYU will definitely broaden your knowledge and perspective of the world. For me, the greatest experience about coming to NYU is the access to many great opportunities and getting to meet famous people. Being able to work on Wall Street, meeting famous businessmen such as Bloomberg and also politicians such as Hillary Clinton have been the highlight of my education thus far. Regardless of what courses one takes, you will certainly gain a wonderful experience here and encounter many great life challenges. NYU prepares you for any challenges that you will have to face later on in their life and in your future career. If anyone happens to come and visit NYU, there are several places and restaurants that I would like to recommend. The Washington Square Park is one of the university’s main attractions. One should definitely get a picture of themselves with the famous arch. Also, check out Greenwich Village, a very cute and friendly neighborhood that is located around the NYU campus, where there are a lot of good restaurants to try. In addition, there are many famous attractions that should not be missed! Namely the Statue of liberty, the Empire State building, World Trade Central Memorial, the Brooklyn Bridge, the museums, Central Park and of course, this in NYC, the list could go on forever! Lastly, there is one final note of advice that I would like to offer to anyone, especially the prospective students. If you have the opportunity to visit the campus, definitely do so. You can’t really imagine what life is like at NYU until you visit the campus and try to imagine what your life would be like. Since its campus is the whole city, this may not be the university for you! NYU does not have a traditional campus, and if you value having a strong sense of community and feeling like everyone is under a premise very important, NYU is not for you. 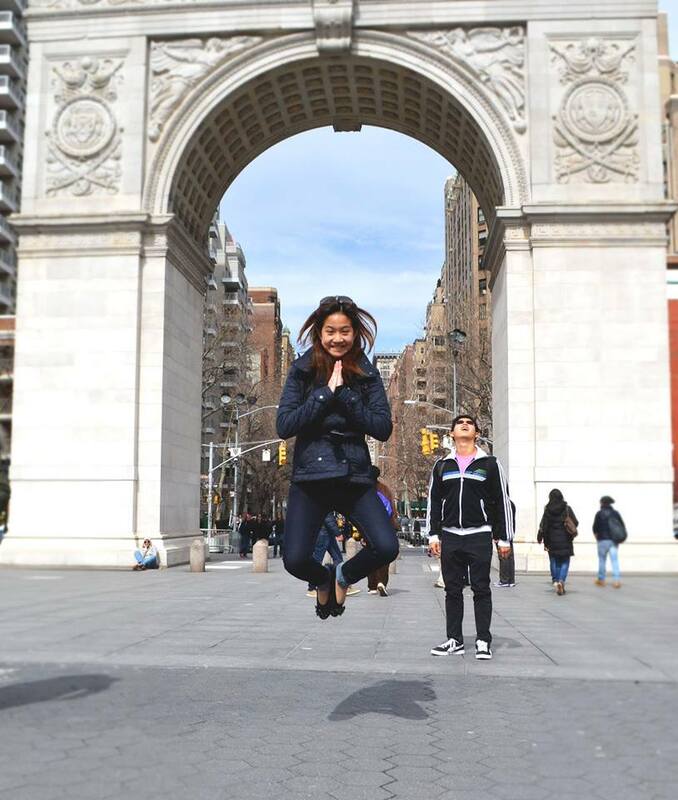 If you are attracted to a very urban life campus and the freedom to do and explore life without any campus boundaries, then NYU may seem to be your perfect fit. Remember, though, self-control will become a very important factor to consider when choosing your life here at NYU. 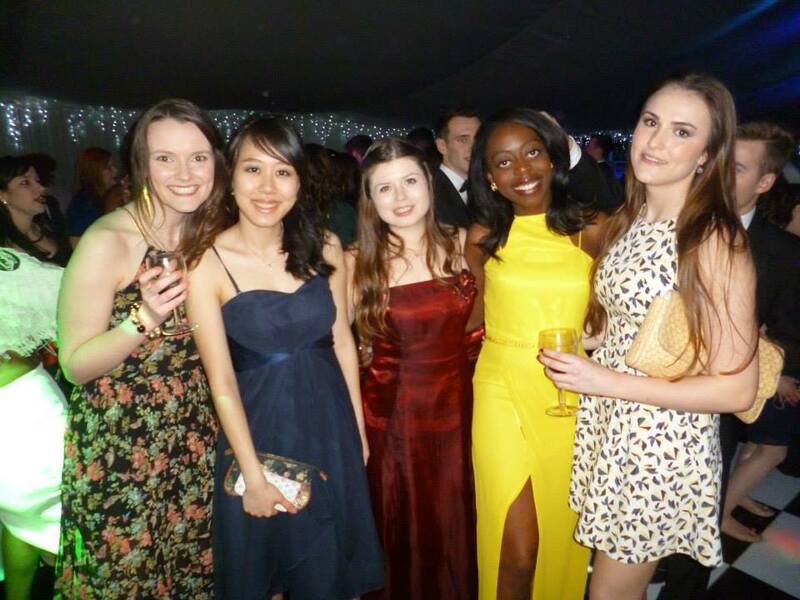 So this is my last year of undergraduate law degree at the University of East Anglia. 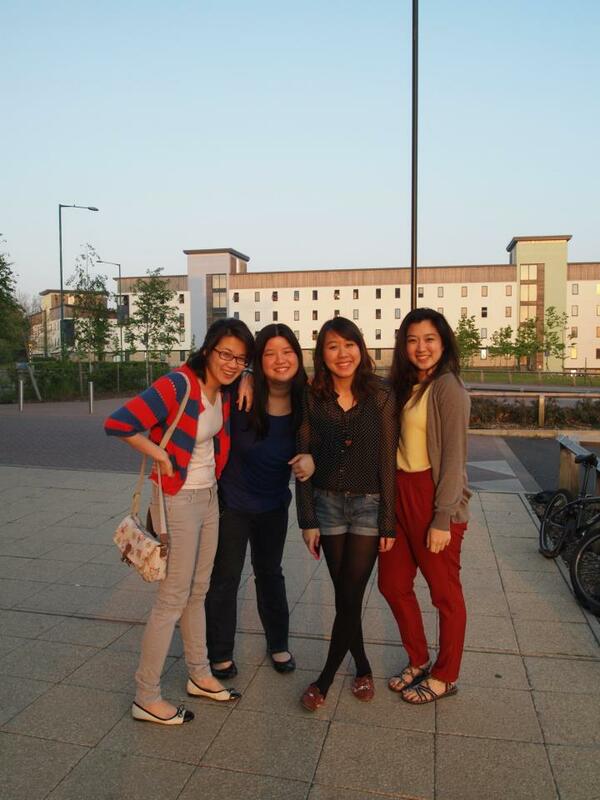 Throughout my four years here, I have found the course to be a lot different to what I first expected. In the beginning I thought law was all about debating, arguing and all the practical stuff. However, the classes here have been theory-based and not so practical, to be honest it made me lose a bit of the enthusiasm I had for law. Fortunately for me, part of my degree allowed me to do a year abroad in America. That was actually my favourite part of the degree. The year abroad gave me an opportunity to see how law is practiced in another country and also the education in another country. In addition, I get to experience a very different culture in Alabama. So it was academically and culturally beneficial for me. I feel that the year abroad has distinguished me from the other people in my law degree because of that extra international experience. At the same time it justifies me studying law in another country but my own! Because I get to experience two of the major legal systems. A word to describe my degree here would be “adaptability”, it was hard for me to adapt to another system of education in my first year but because I did a year abroad I had to adapt there as well. The transition back to England was actually not difficult at all, because my year abroad made it clearer what I liked and disliked. This was very helpful in my last year in which I get to choose my classes. As I’ve mentioned earlier the part I don’t really like about my degree here is the fact that it is very theory-based. You go into lectures with more than 50 people and just listen for the whole hour or so. For me that made me lose interest in law. However, the positive parts are the fact that I get to go on a year abroad and experience that practical side of law, the seminars I have in the UK are also very useful and a great forum to have discussion. The people I get to meet and learn from are also from very different backgrounds. In America most of the people I had classes with were graduates who have had work experience before coming to law school. Thus, I get to learn a lot from them and see how law could be put into practice in the different careers. Another thing I found about people studying law is that they tend to be very competitive, which at times makes it stressful to be around them. The next step for me is to qualify as a solicitor in the UK. I would like to get work experience from different countries in the world before I go back to work in Thailand. This is because I feel that there is more room to grow and learn from in other countries. To do that I would have to do a 10-month course, similar to postgraduate, and work for 2 years before I become a fully qualify lawyer. My advice to the DP students would be to take advantage of the work ethics in IB. It is hard but it will make it so much easier for you at University level. There will be no one here to force you to work or make sure you learn everything you need to know, you are on your own. So it really helps when you have that work ethics of diligence and time-management (or at least have the experience of a heavy workload). Another advice is for you to start planning, think about what it is that you want to do at University. So that the courses you choose or the grades you make would allow you to do that. As for general advice to everyone, including my fellow alumni, is to be involved. Be involved in social groups, societies, sports, charities, all the similar things you did for CAS. It really helps with your CV, making connections and improves skills that you would not get from being in class. Lastly, be confident in who you are, there are times when I find it hard to speak out in class and express my opinions but you’ll never improve if you don’t try. The course I took was an art course so most of the time I’m creating art work instead of reading and writing. Although there are also some essays and reflections, which therefore made it very different from high school. I was learning how to use different computer programs to create art work, learning how to do screen prints, taking photos, doing collages, etc. The workload leans more into producing lots of art work than doing research and writing essays. I need to constantly produce art to practice my skills and so I could have a body of work to choose from. 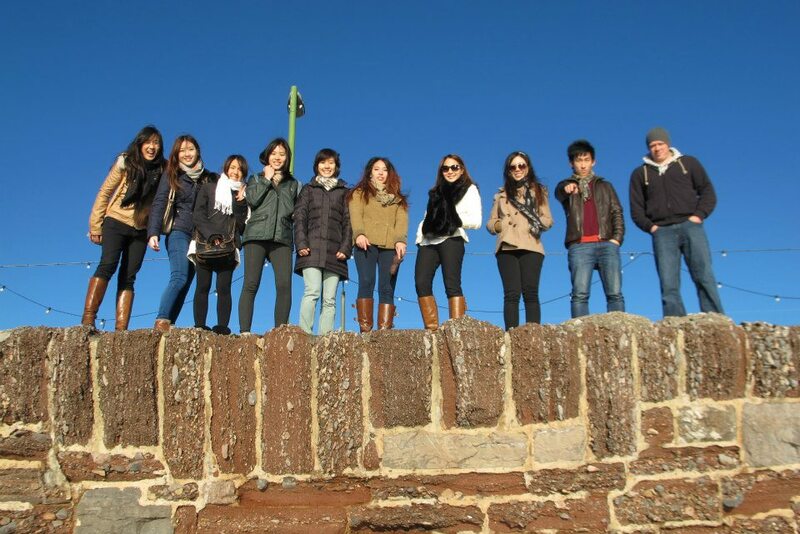 I really enjoyed my time studying abroad and learning about new cultures and lifestyles. 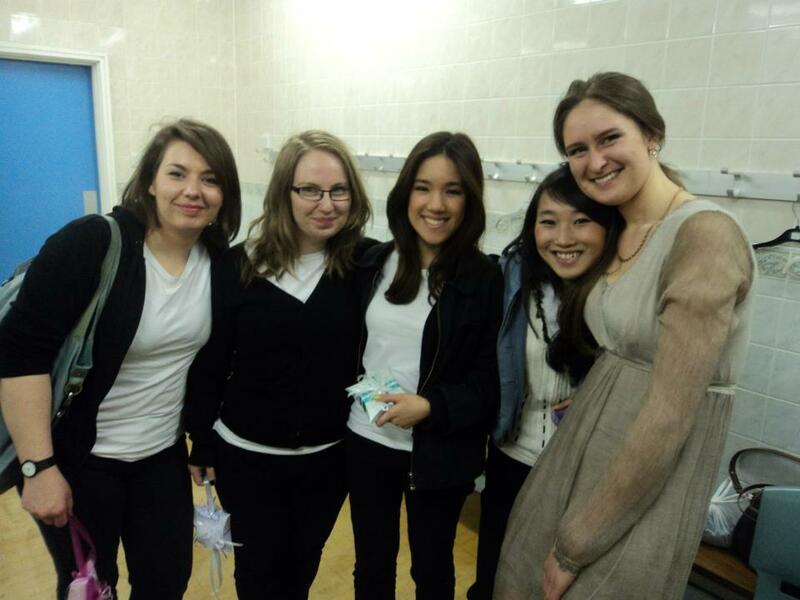 I got to live with 4 other international students and it was the best experience I’ve ever had. I had fun learning about their life and was fascinated with all the similarities and differences we had. I think living and traveling there alone changed me in a positively way. I have learnt to become more responsible and open-minded. Living away from your family means having to manage everything yourself. By ‘everything’ I really meant everything, from thinking about how you’d get your meals each day to keeping track of how you’ll use your money for rent, shopping, transportation, etc. About the location of my university, to be honest I chose Derby partly because it was a small city and so it wouldn’t be too loud and busy. However, having lived there for 3 years I decided it was a bit too quiet for my liking. Walking to the train station alone in an empty town on a sunday morning has never been so scary, it was winter so the morning was pitch black, I could hear my own footsteps echoing so loudly and there was not one single car on the street, not even a taxi. I thought I was going to be robbed. Seriously. As for internship applications and jobs, I had some connections, which made it not to difficult to fine something. 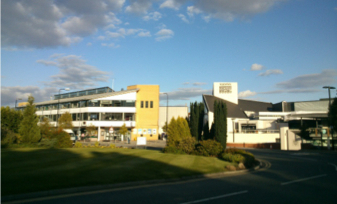 I am currently interning at the main hub for marketing at Central Chidlom while teaching english once a week at Kumon. However, I have seen many of my friends look for jobs and failed, an advice for other alumnus would be, it is better to send your resume to too many companies than too little since it gives you more chance of getting accepted by one of them. For the DP students, I believe it’s better to do university hunting early in the year than rushing near the deadline. Sending in your applications early means there are more spaces available when they are considering you, it also shows you are responsible and lastly, it also gives you time to apply to another university if you don’t get a place from any you applied for. I’m planning to go study for a postgraduate degree in September on a Marketing related course. I decided to change my course from art because I think the business industry has a wider range of jobs and positions to choose from, and as I’m still not too sure of what I want to do, I’m going to keep my options open. 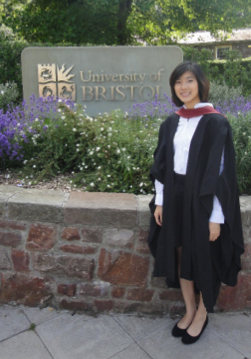 Last July, I graduated from the University of Bristol with a BSc in Economics andMathematics.The University of Bristol is a great place to study, with a lovely campus right in the city of Bristol. Consistently named the best city in the UK, Bristol boasts many beautiful historic buildings, lots of green spaces, a good variety of shops and restaurants, and many interesting attractions. It is home of the famous graffiti artist, Banksy, whose street art can be seen on buildings across the city, and the independent city even has its own currency: the Bristol Pound. 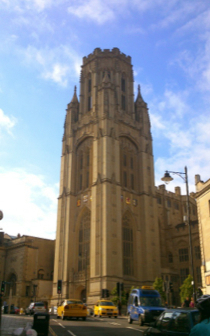 Furthermore, Bristol is also a great base for travelling, being situated next to the spa town of Bath with the beautiful coasts of Devon and Cornwall to the south, the English towns of the Cotswolds to the north and Wales to the west. By now, you can probably tell how much I love Bristol. It is truly an amazing place and you’ll never be bored there. In terms of the university and the course, I studied in two departments – the department of Economics, Finance and Management and the department of Mathematics – and I thoroughly enjoyed the course overall. The workload really depends on the type of the course. Economics and mathematics are more exam based and have less coursework compared to courses like engineering. Although I am sure that IB graduates will have little trouble transitioning to university studies no matter what course they choose. I am now studying for an MSc in Economics at the University of Warwick (pronounced ‘war-rick’), finishing this September. Being an isolated campus and a relatively new university (less than 50 years old), it is very different from my experience in Bristol. I live in university accommodation off-campus in a small, lovely town called Leamington Spa and travel to campus by bus (takes 20-30 minutes). Despite lacking in historical charm, the modern campus makes up for it with excellent facilities and innovative study spaces for students. Moreover, I have been really impressed with the Economics Department at Warwick, whose numerous faculty members specialise in virtually every field of economics. Although Warwick certainly has a better economics department, I do feel that my degree from Bristol has given me an excellent grounding for further studies in economics. Undergraduate economics taught me the maths, the theories, the models and they all can be quite overwhelming, but it is at the Masters level that I really get to see how the bits and pieces fit together and finally learn to apply them. The application process for postgraduate studies is similar to that of undergraduate degrees, except that you apply directly to individual universities rather than through UCAS, and you can tailor your application to the specific university/course you’re applying for. Most applications involve some form of a personal statement, and some courses may require some standardised test results. For me, the difference between undergraduate and postgraduate applications is that, with Masters, the choice of where I apply to is much more focused on the specific course of study, rather than what the university looks like or its location. One thing I really like about the MSc Economics course at Warwick is the variety of optional modules it has to offer, which allows me to specialise in the areas of economics I am really interested in. These are international economics, economic history and especially monetary economics, and, ideally, I would really like to work in a central bank. My advice for graduating students or graduates applying for undergraduate or postgraduate courses is to apply early. Many universities view applications on a rolling basis, so applying sooner rather than later can give you a better chance of success. Other than that, just be yourself and choose a course you are really interested in, and you’ll have a great time at university!